Valentine’s Day is coming up next Tuesday. In case you haven’t figured out what to get for that special person in your life, here’s a succinct listing of gift ideas that you may give to that certain person in your life (or you may gift yourself since it’s delicious and/or useful) for Valentine’s Day. Of course, I’m starting with the conventional gift – chocolates. But, this box of chocolates from Vosges Haut Chocolat is Collezione Italiana (shown here 9-piece $37). It veers toward the unusual, savory combinations with chocolate. The collection consists of bonbons made of Tallegio cheese and organic walnuts; Sicilian sea salt caramel, milk chocolate and pine nut; extra virgin olive oil, white chocolate and dried kalamata olives, etc. As unusual as the combinations sound, it’s great for the adventurous chocoholic who wants more than just plain ol’ chocolate ganache paired with fruit. 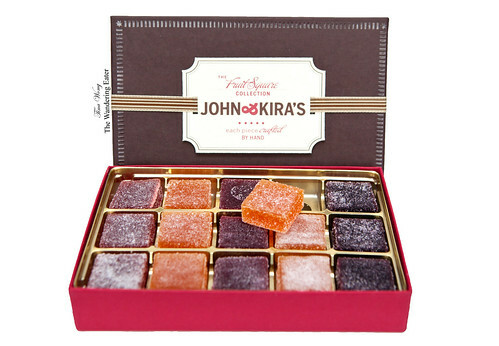 John & Kira’s is a Philadelphia-based confection company I adore. They use ingredients from sustainable artisan food growers from around the U.S. and create unpretentious yet sophisticated confections. Their pâtes de fruits (or Irresistible Fruit Squares; 15-pieces $26) were incredible. Firm, slightly chewy but soft in texture and has intense fruit flavors (raspberry, apricot, blackberry, and strawberry). 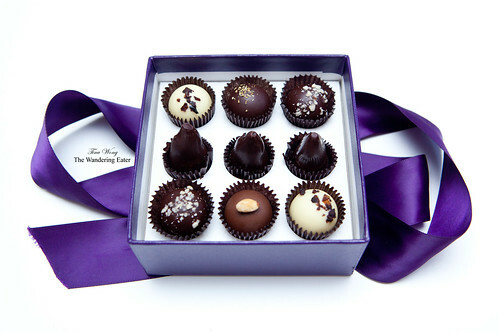 My absolute favorite chocolate and fruit combination in the world is chocolate and fig (shown above, 6-piece $22). 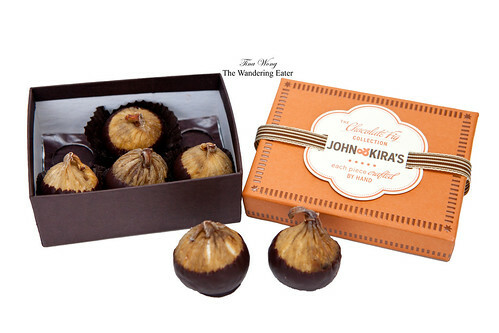 John & Kira’s imports dried Spanish Calabacita figs and fills it with whiskey ganache and dipped into 62% chocolate. It’s divine. If I didn’t have self-control, I would have polished this entire box under a minute! S’more Bakery founded by Sarah Warren creates handmade s’mores. 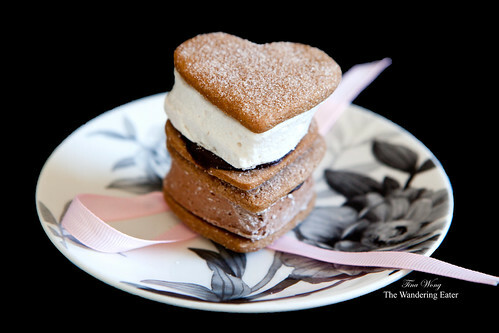 It’s a nostalgic treat that is adorable since it’s heart-shaped for this particular holiday. 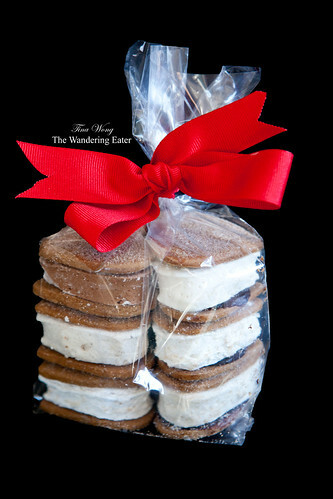 The ones I’ve tried are made of slightly crisp clover-honey graham crackers sandwiched in puffy chocolate, bourbon Madagascar vanilla bean, toasted coconut, and winter spice marshmallows with a smear of dark chocolate ganache. As any well-made dessert goes (in my book) it’s easy to eat them all in one sitting! The deadline to order her Valentine’s Day s’mores is Saturday, February 11th ($3 to $4 each s’more depending upon the flavors and if there’s customization). 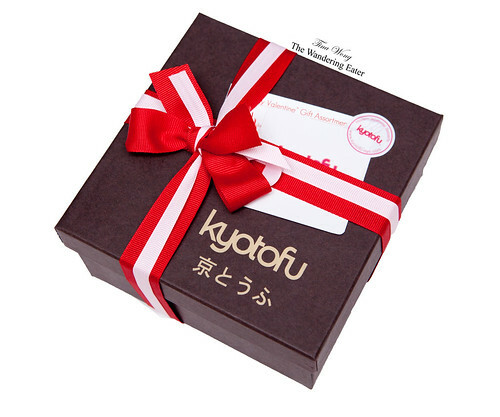 Kyotofu released “Be My Valentine” gift collection ($30) and it was a decadent assortment of baked goods. 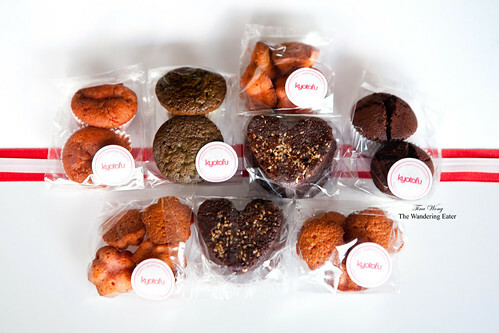 There were adorable, mini strawberry flavored financiers, miso heart-shaped brownies (my favorite brownie as it has a pleasant kick of salt from the miso), and their fluffy and moist chocolate souffle cupcakes. 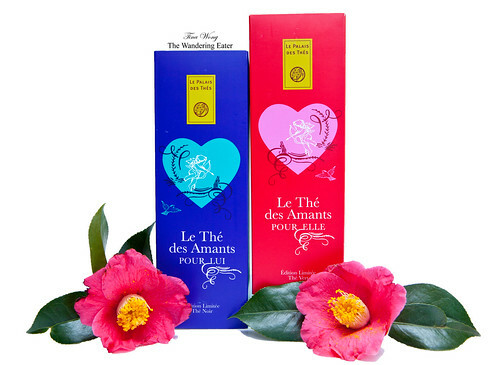 Le Palais des Thés created a limited edition set of teas for Valentine’s Day called Le Thé de Amants for him (pour lui) and her (pour elle) (set of 2, $44 or $22 individually). The tea “for him” is a fragrant blend of black tea, apple, almond, cinnamon and vanilla, spiced up with a hint of ginger. The one “for her” is a green tea version. It’s bright, spicy green Chinese tea blend with citrus, fruity notes. Both teas are great solo or paired with light sweets like shortbread cookies. 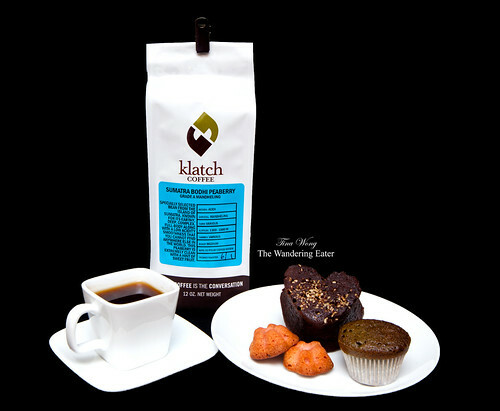 For the coffee snob in your life, Klatch Coffee is a small batch roaster located in Upland, California. They buy and roast one of the best coffee beans in the market, as they have been awarded in the recent past like Roaster of the Year in 1999 by Roast Magazine (a coffee trade magazine) and a number of their beans have high scores (89+ points) from Coffee Review. My morning cups of coffee tastes a lot better because of the expertly roasted coffee. Their FTO Ethiopian Gedeo Worka (Organic; $14.95) is a medium-light bodied coffee that has “big” flavors of dark chocolate, cherry, and almond. The Costa Rica Cerro Paldo ($13.95) is a medium roast coffee that has an intense floral aromas and rich, sweet flavor of dried cherries and almonds. No bitterness or acidity. 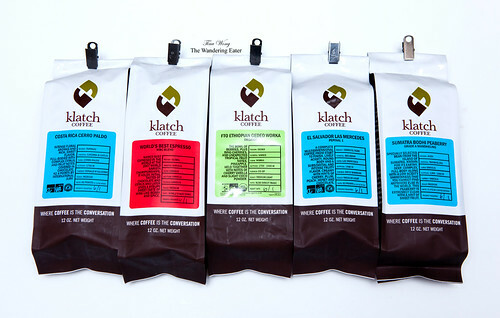 The World’s Best Espresso (WBC Blend; $15.95) is a wonderful espresso bean that depending upon how you extract your espresso bean and the grams, the flavors range from heavy chocolate to wild berry to strawberry to pineapple. The El Salvador Las Mercedes Pacamara ($11.95) is one of the best tasting coffee of El Salvador, it comes from a hybrid Arabica coffee tree grown in high altitude and fermented prior going into the mill maintaining the natural sweet honey flavors. The Sumatra Bodhi Peaberry (Grade A Mandheling; $13.95) consists entirely of peaberries, a kind of bean that results when the coffee fruit develops only a single, oval bean rather than the usual pair of flat-sided beans. Peaberries produce a somewhat different (often better) cup than normal beans from the same crop, from which they may or may not be separated during grading. There were aromatic hints of berry-like fruit with aromatic wood and a deep, molasses-like sweetness. Rich acidity, continuing sweetness and cedary wood in the cup, rounding toward a ripe peach. Of course, Valentine’s Day (or any holiday, in my opinion) isn’t complete without some form of libation. 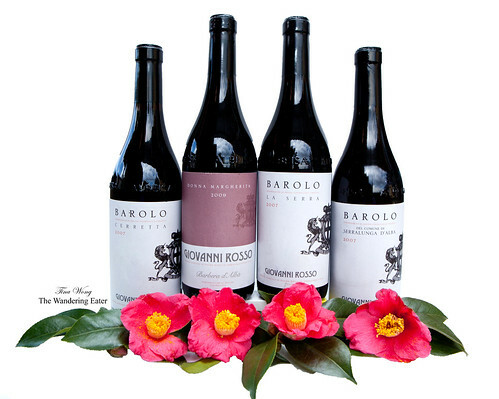 Giovanni Rosso Barolo wines are excellent “big” (as in very aromatic full flavored) reds. The Barolo DOCG Cerretta 2007 (approx. $98) has intense, round fruit. The Cerretta impresses for its depth and sheer balance. Sweet dark cherries, menthol, minerals and spices wrap around the muscular finish. It’s still young and can wait, if this is for your wine collector in your life. The Barbera d’Alba Doc “Donna Margherita” 2009 (approx. $29) has good up front juiciness, then turns a bit sterner on the mid-palate and finish. The tannins are a bit rough for a vintage that yielded so many seductive Barberas. The Barolo DOCG “La Serra” 2007 (approx. $98) presents beautifully articulated, bright red fruit, flowers, mint and spices. This is a gorgeous, pure Barolo endowed with significant focus and verve, both quite unusual for the year. There is just enough fruit to balance the wine’s wiry, structured, personality. This is another strong effort from Davide Rosso, Giovanni Rosso’s head winemaker. The Barolo DOCG Serralunga d’Alba 2007 (approx. $54) is a beautiful, mid-weight offering laced with expressive floral notes, sweet red fruit and licorice. There is effortless, weightless quality to the Barolo that is quite striking in this vintage, while the fruit retains lovely juiciness all the way through to the finish. 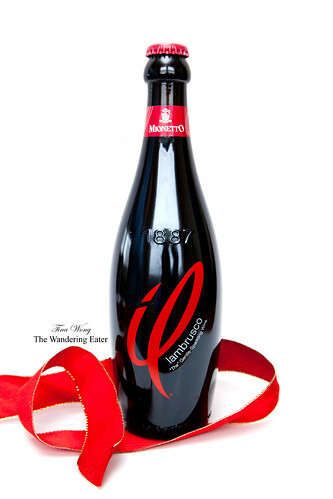 Mionetto produces the most quaffable prosecco and it’s available in a lot of wine shops (at least in New York City) – and it helps if you’re in a budget. 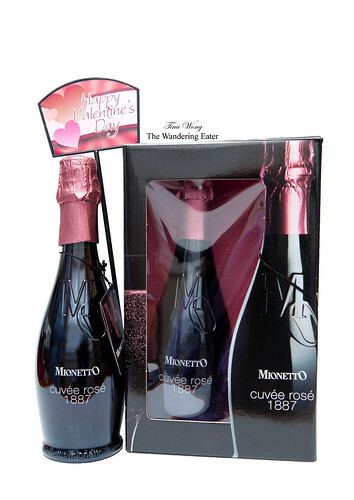 Their Cuvée Rosé 1887 Gift Pack (2-packs of 375 ml ($19)), is a blend of 70% Raboso and 30% Lagrein grapes. Cuvee Rosé 1887, showcases the flavors of the Veneto’s indigenous grapes in a blend that is of world-class quality. Bright pink with deep red glimmers, Cuvee Rosé 1887 is rich and persistent on the palate. Its aroma is reminiscent of pink grapefruit, raspberry, and blackcurrant with a hint of wild roses. The “IL” Lambrusco ($10), includes Prosecco and Moscato, is a pleasantly sweet and slightly frizzante wine. It’s bursting with strawberry and red fruit flavors, is packaged with the whimsical “IL” swirl and is sealed with the easy-to-open “signature” crown cap. 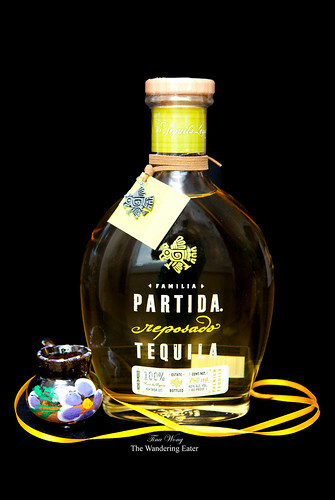 Partida Reposado Tequila ($58) has a lightly smoky and woody aroma. Incredibly smooth throughout the entire taste with only the faintest hint of “heat.” There is a fantastic, toffee-like sweetness to the early taste that yields to muted vegetal and toasted grain flavors. As it goes down, the agave shows its face again, bringing burn and a slight amount of vegetal character at the back of the throat. Possibly, you know someone who loves to cook and really cares about the types of pans he/she uses, All-Clad is your answer. 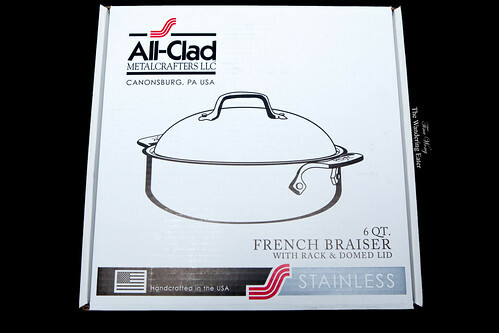 The 6-quart French braiser pan ($249.99, available at Sur La Table) is named for the classic cooking technique. 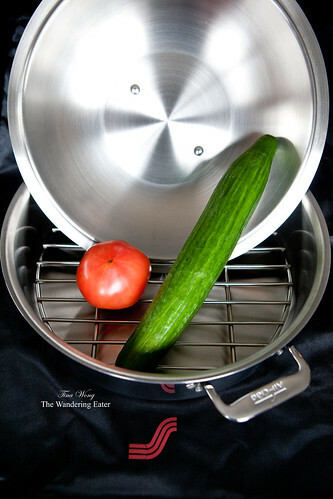 It is designed for searing, and slow roasting in sauces or gravy. With its wide, flat cooking surface, meat or vegetables can be easily browned or seared at higher temperatures. The pan’s high, straight sides easily accommodate large cuts of meat and the addition of sauces or liquids. It makes an excellent beef bourguignon, braised beef short ribs, veal osso bucco, braised pork shoulder – the sky is your limit.